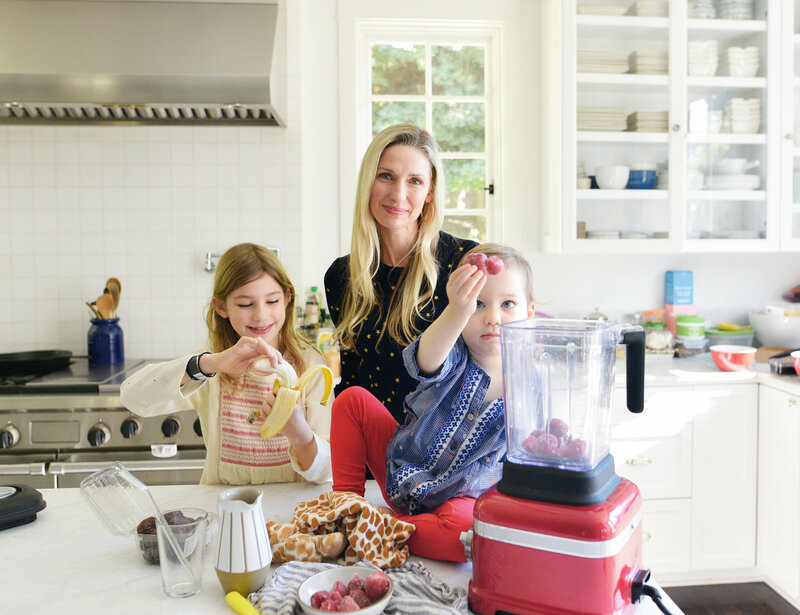 Stumped about what to add to your morning smoothie to give you tons of energy as well as feeling great inside and outside? 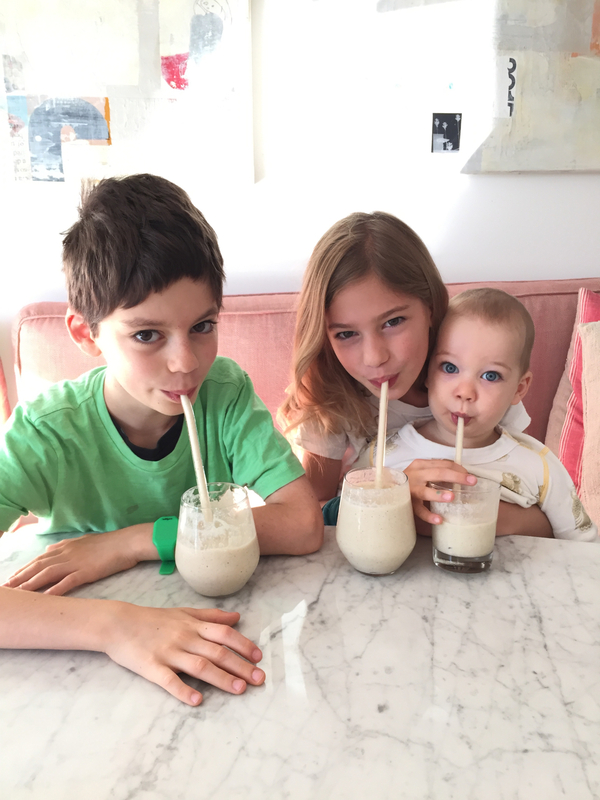 Print and laminate this Smoothie Project sheet to get you and your family started! When Kenya’s health started declining last year I tried just about any and everything to get him back on track: breathing techniques, mental exercises, trips to the doctors office and more. Little did I know that I was the coconspirator to the issues. Even though I still give the kids pancakes, waffles and other delicious foods now and then for breakfast, I learned quickly that every day breakfast foods packed with flour were not helping the kids to feel their best. Within weeks of starting the Smoothie Project, Kenya was feeling himself again and all it took was a glass full of fruits, vegetables, plant based proteins and more in my favorite blender that tastes as good as it looks. I created the first version of this sheet on scratch paper and it looked like a 5 year old’s piece of art. I used it as an inspirational “menu” for the kids to take turns picking what they wanted in their smoothies each morning. I still feel that if they have a hand in creating it they will be more excited to drink it. Two years later, we’re still making smoothies each morning. Using this updated sheet which I laminated and give the kids a dry erase marker to pick the ingredients they want in their daily smoothie. It's the easiest way to get the kids brains working before they head out for a long day of school. 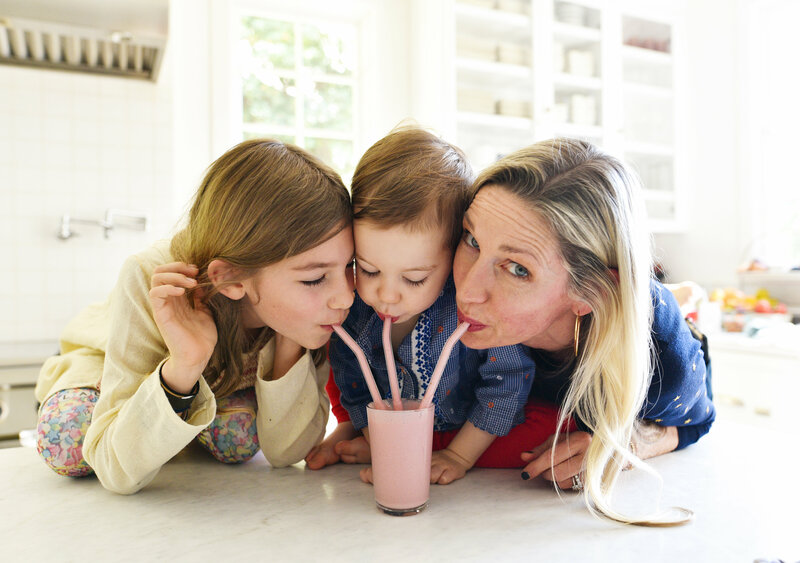 This goes as well for myself, my hubby and even Gemma who at 10 months old figured out how to use a straw to get in on the act. 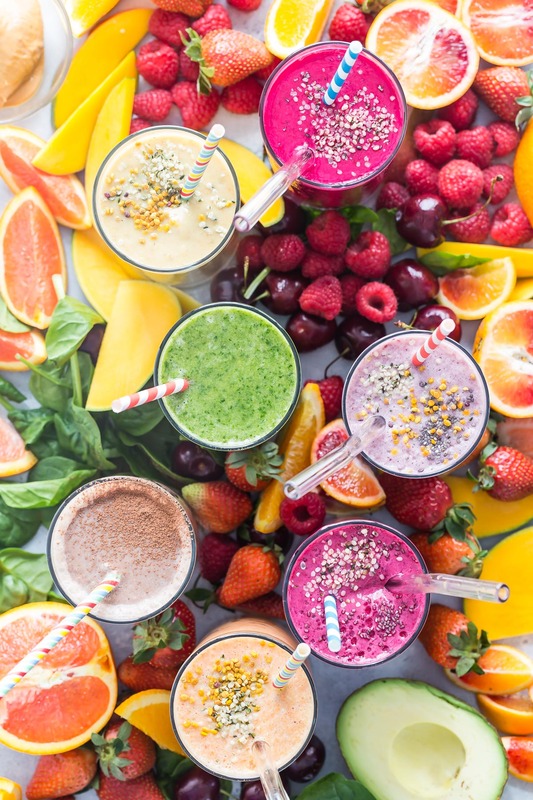 The printable PDF sheet has most of the foods we add to smoothies, but If you have other ideas I would love to hear them in the comments below. You can take this to the grocery or order a bunch of the “extras” and “proteins” online. I share new smoothies regularly on Instagram stories, and I've compiled a list below for inspiration! Can you update the link for the printable PDF? I get a 'page not found"
Check it out now - it should be working! Can you talk about the bee pollen? And how do you prevent the coconut oil from solidifying in a cold smoothie? Thanks for the inspiration. You can find bee pollen at your local farmers market or health food store! It is local and helps to work against local and seasonal allergies! The coconut oil will blend in with all the other ingredients in the blender. Great tip, I'll have to try okra! Also, another great smoothie ingredient is cottage cheese! I have found that even people who don't enjoy eating cottage cheese normally like it in a smoothie. It adds such a delicious and decadent creaminess, and is packed with protein as well! Another great tip! I love putting cottage cheese into pancakes - definitely trying it in my smoothies! That sounds delicious, and what a great memory! How many of each category would you recommend combining to start with? I want to be cautious of adding to many different flavors to a smoothie! Hi was it at 10 mths old that Gemma started drinking smoothies or earlier ? 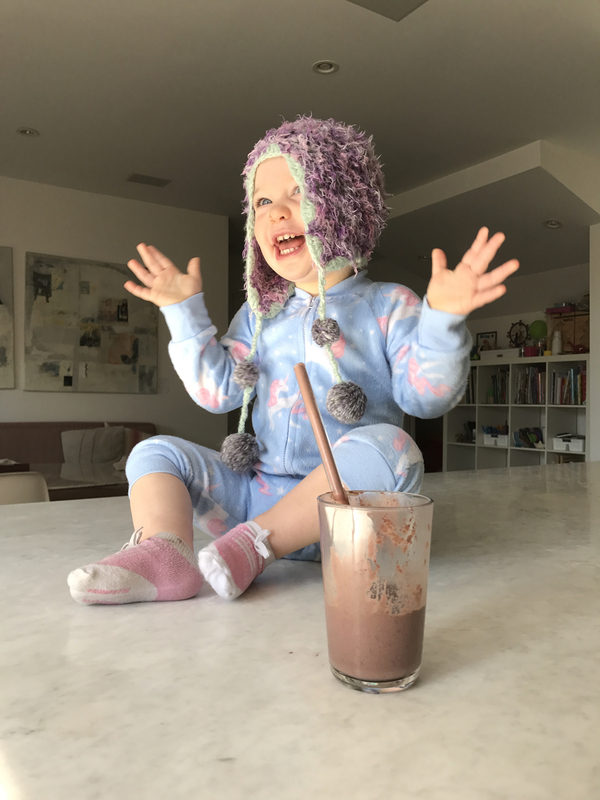 Do you skip the collagen protein for her ? Which dha oil and protein powders do you use? Pumpkin seeds and sunflower seeds are also delicious in a smoothie! Golf ball size kohlrabi chopped with the leaves are also delicious. Fresh green beans are delicious, and cooked white or pinto beans work well in a smoothie too. No one has been able to detect cooked beans if they are mild. I will try other things you have listed on your chart. Thank you, this is wonderful! Can you add cucumber, celery and probiotics to the list? 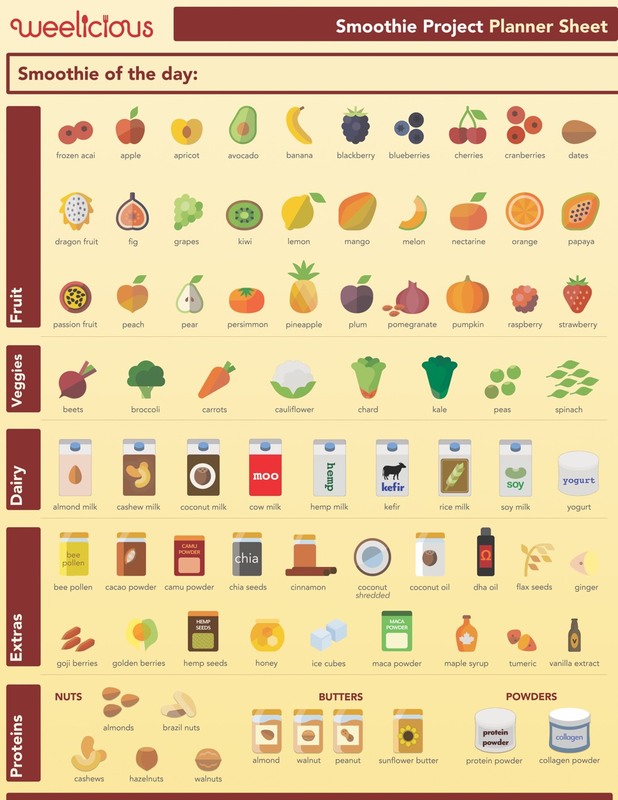 How much of each fruit/veggie/liquid do you add to the blender. Any suggestions for a good add-in for my four year old who has acid reflux? Is the dairy list the type of milks you use or the kind of dairy that could be used depending on the person? Which brand of collagen and probiotic powder do you use? There are just too many to choose from and I am overwhelmed with the choices.